Size: approx. 30 mm. Photo: 08/28/14, 10 pm. 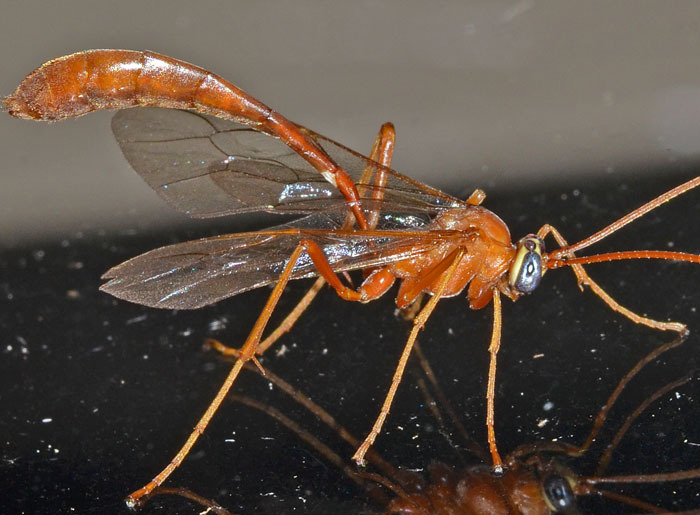 A really big Ichneumon Wasp with a somewhat pre-historic appearance. The wasp was attracted to our porch lights and then rested on our living room window for a while. 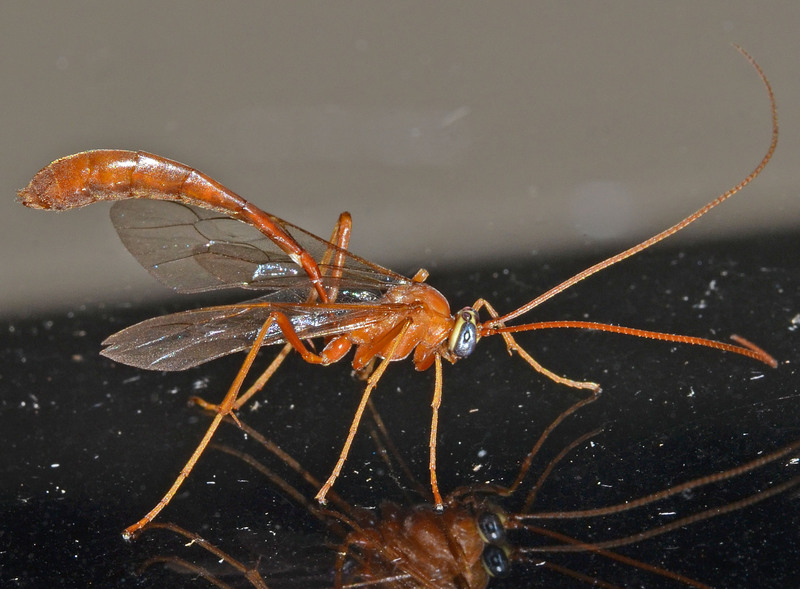 The genus Enicospilus has twelve species in North America. This one seems to belong to the americanus group. A high-resolution version of the photo is available here.